The 13th annual Volley for Support fundraiser was held at Cherry Hill High School East last Friday. 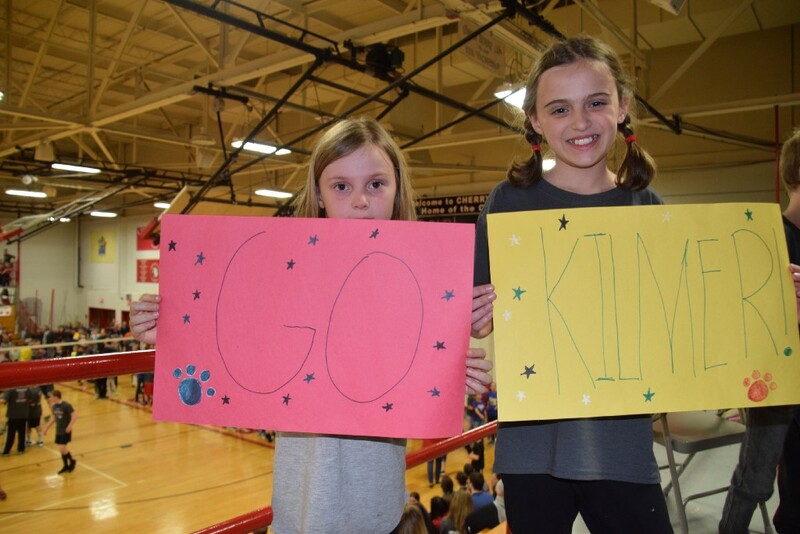 Kilmer Elementary School second grade student Sarah Hubbard and her sister, fifth grader Rosie Hubbard, rooted their teachers on to victory. Cherry Hill Public Schools’ Volley for Support fundraiser continues to grow each year. In 2015, the event’s fundraising campaign raised about $20,000. In 2016, the event raised more than $20,000 on just the night of the event and more than $60,000 overall, shattering its previous records. This year’s Volley for Support was held recently at Cherry Hill High School East. While there is not yet a final tally on how much money this year’s event raised, organizers hope the final tally will match the huge fundraising numbers from a year ago. “We’re hoping we’ll make the same, if not more than last year,” said Kim Redfearn, a teacher at A. Russell Knight Elementary School and one of the founders of Volley for Support. 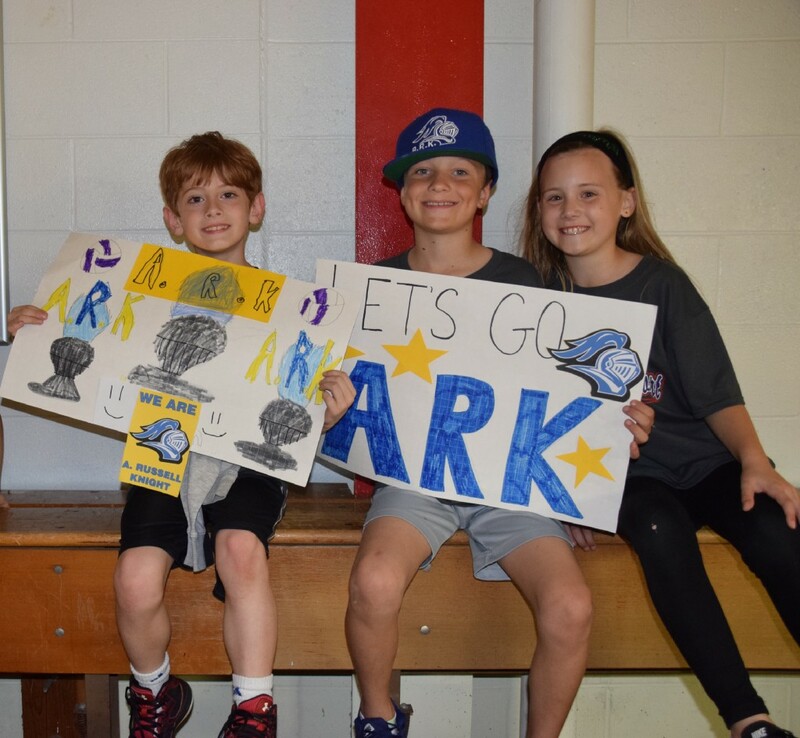 Volley for Support is an annual fundraiser held in Cherry Hill Public Schools where teachers and staff from all of the district’s 19 buildings square off in a volleyball tournament. All of the schools hold fundraisers and sell t-shirts leading up to the event. The event itself includes gift basket raffles, food, activities and more, with all proceeds going to a local nonprofit. This year’s event included new features. 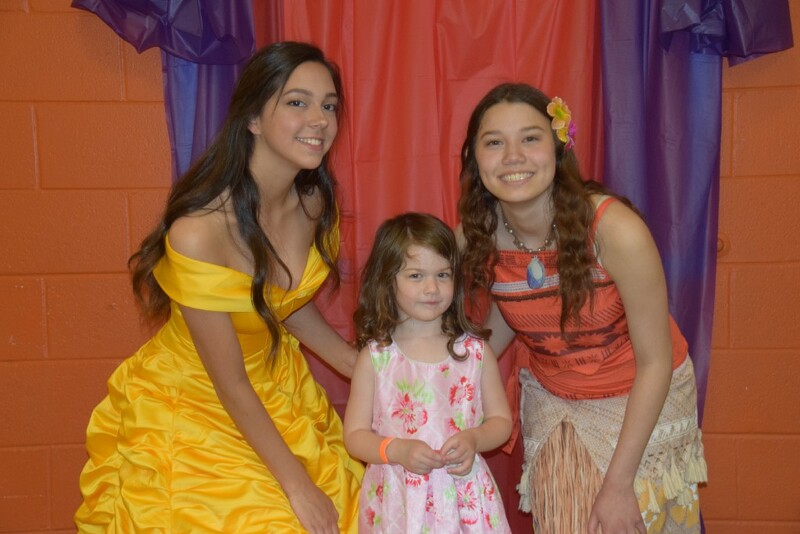 There were new activities for kids such as mini golf and a visit with Princess Belle and Princess Moana. For adults, there was a silent auction where guests could bid on a variety of gift packages. Hannah Levenberg, 4, gets her photo takes with Princess Belle and Princess Moana. In recent years, Volley for Support has been very successful, topping $10,000 raised on an annual basis. It has become so successful, local nonprofits and organizations are lining up to get involved. Redfearn said multiple organizations sent proposals to be the benefactor for the 2017 Volley for Support. Organizers formed a committee to examine each proposal. This year, Volley for Support teamed with Mothers Matter, a program part of the Lauren Rose Albert Foundation. Mothers Matter creates gift bags filled with personal care and beauty items that are donated to women in need across South Jersey. Mothers Matter distributes about 5,000 gift bags on an annual basis. As in past years, Volley for Support’s fundraising start long before the night of the event. Each school was given goals that include built-in incentives for the students to encourage them to fundraise. A. Russell Knight Elementary School students Hunter Sobus, Oliver Vytlacil and Emma Porowski root on their home school. The students didn’t just donate money. Many schools held collection drives where students could donate items toward Mothers Matter. The monetary value of the items will be added to Volley for Support’s final fundraising total. Redfearn said they have had no problem finding volunteers to help with this year’s event. When the event first started, Cherry Hill teachers and staff members manned most of the tables and activities. Now, parents and community members are helping. Community members can still donate toward Mothers Matter and Volley for Support by visiting www.crowdrise.com/MothersMatterVolleyforSupport.